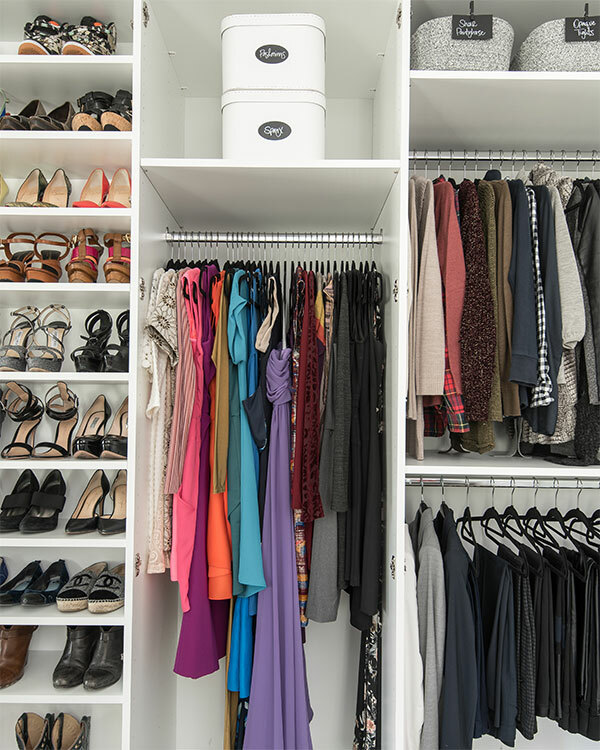 Closet Factory recently spoke with Ashley Jones Hatcher about custom closet organization. Ashley is a professional custom closet organizer and owner of NEAT Method, Washington D.C., a national organizing service that helps homeowners plan and organize every room in the house whether bathrooms, kitchens, playrooms, and closets. I worked with Closet Factory specifically to build something for an empty wall in my master bedroom. 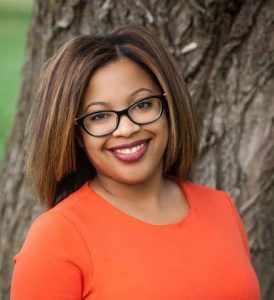 I had to be really strategic about thinking through what I owned and what the design needed to look like in order to make sure that everything fit and that it looked good,” Ashley Jones Hatcher, Professional Organizer. According to Ashley, after she and her husband purchased their townhouse in Washington D.C., there was a large empty wall that was adjacent to the master bathroom. 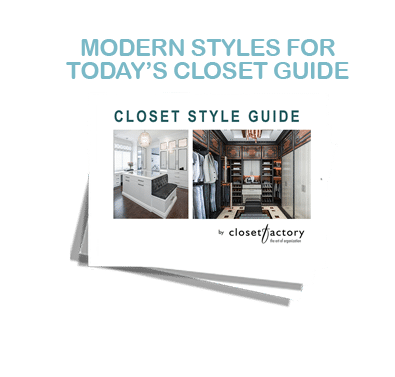 She knew it was the perfect place to install a custom closet system, and she turned to the Closet Factory to create the perfect system for a professional organizer. “The closet system I created with Closet Factory is essentially five wardrobe closets in one system. I worked with Closet Factory specifically to build something for an empty wall in my master bedroom. I had to be really strategic about thinking through what I owned and what the design needed to look like in order to make sure that everything fit and that it looked good,” said Ashley. Ashley is a self-described minimalist, which means she has taken great care over the years to pare down her wardrobe to just those items that have the biggest impact on her appearance. She has formal dresses, shoes, and wraps for Washington D.C. galas; she has her down-to-earth working wardrobe which are basically sweatshirts and jeans, and she has several wardrobe combinations that can be adapted for seasonal variations. With such a scaled down wardrobe, Ashley also wanted a closet system that was streamlined and symmetrical. 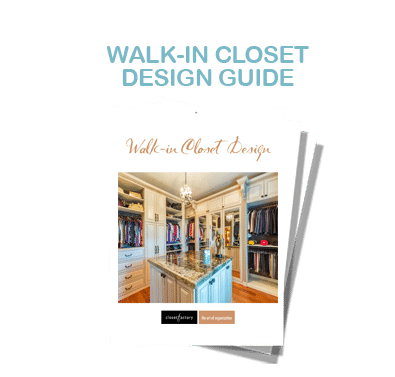 In her case, she wanted Closet Factory to create a floor to ceiling center section for her shoes, and two long hanging sections on either side of her shoes that also storage space above the hanging rods. The two outer sections had two short hanging sections for dresses, pants, and jackets. The top row of these outer sections had shelving at the top for baskets and other customized storage accessories. The closet designed created a theme for Ashley that paralleled the way she dresses on a daily basis. “I broke up the wardrobe closet into my casual wardrobe closet space, my dressier wardrobe closet space, and my winter clothes closet space. So, each section had its own kind of theme. I have a long panel section for my casual and regular kind of dresses. Then I have another long hanging section that I use for my cocktail and evening /going out dresses. So, when I go out and get dressed, I can open up whatever wardrobe unit is most appropriate,” said Ashley. Another way Ashley suggests people organize their closets is by thickness. Specifically, going from thinner and sheerer materials on one side to thicker, more bulkier clothing on the other. In her closet for example, the far-left side of the closet has a double-hung section of light weight, daily wear while the right side is used for pants and thicker shirts and jackets. Similarly, on top of each of the outer section are baskets that are both clearly labeled and also organized by thickness. Scarves on the left side are lightweight, Chiffon-esc, summery scarves that might be worn as a layering piece, and the scarves on the right are thicker and heavier for winter. Each basket is labeled so that there is a system that will last year after year. “I don’t know, but for me, I like to have my daily wear, which could be short sleeve tops or lightweight long sleeve tops, silk blouses, cottony feel blouses on one side. Then on the other end of the spectrum I have my long sleeve, more bulkier flannel shirts or sweater type of wear. This creates a way to separate them into different spaces so that for most of the year when it’s not cold outside, I only have to focus on what cabinet is relevant to me for that time of the year,” said Ashley. While Ashley may be a minimalist when it comes to clothing, the same cannot be said when it comes to her shoes. In other words, Ashley has a very extensive collection of shoes. In fact, she dedicated the entire center section of her new custom closet to her shoes. But with so many shoes, how does she organize them? The answer, according to Ashley, is to organize by season. For example, in the winter months, her warm weather shoes like tennis shoes, wedges, and lighter colored shoes are stored towards the top of her wardrobe closet. Whereas her winter season foot wear is placed at eye level or “the daily grab” section. “When it came time to creating my custom closet, I knew that I wanted to showcase my shoe collection. I really love shoes, and I really wanted a way to display my shoes. Over the years, I’ve worked hard at building a collection that is more about quality and nicer designer shoes as opposed to just regular shoes that I used to buy,” explained Ashley. “Right now, you may notice that some of my more evening oriented shoes are lower in the easy-to-grab section because in D.C. in the fall and winter we have more galas and black-tie events that I might be attending, so I want these to always be easy to reach and at eye level. As the season starts to head for Spring and Summer, I will rotate my more casual shoes to the bottom area and move the darker colors and heavier shoes up on top,” said Ashley. In general, Ashley advises people to take a step back, and really think about how they get dressed when they get dressed. “I always try to encourage my clients to think about the way they get dressed. So, for many of my clients they tend to dress by function, which is very similar to how I dress. For example, I have my work wardrobe and then on the weekend I have my weekend play wardrobe. So, by making people really think about their dressing patterns, we’re trying to help them create picture that allows them to segment their wardrobe so that it that a pattern is in play. From there, it is much easier to create a wardrobe design that works for that pattern,” said Ashley. If you want to see how our custom storage solutions can bring additional space and beauty to your home, don’t hesitate schedule a no-obligation design appointment to meet with one of our design consultants by calling (800) 838-7995 or online today!